The prophecies inform their next five decades. Golden-boy Simon escapes to the West Coast, searching for love in '80s San Francisco; dreamy Klara becomes a Las Vegas magician, obsessed with blurring reality and fantasy; eldest son Daniel seeks security as an army doctor post-9/11; and bookish Varya throws herself into longevity research, where she tests the boundary between science and immortality. 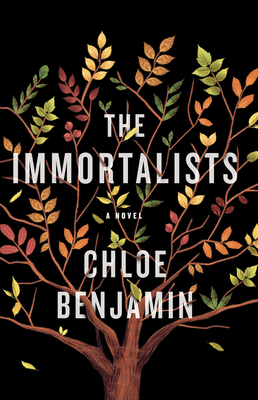 Chloe Benjamin is the author of the novel The Anatomy of Dreams, which received the Edna Ferber Fiction Book Award and was longlisted for the 2014 Center for Fiction First Novel Prize. A San Francisco native, Benjamin is a graduate of Vassar College and of the University of Wisconsin, where she received her MFA in fiction. She lives with her husband in Madison, Wisconsin.